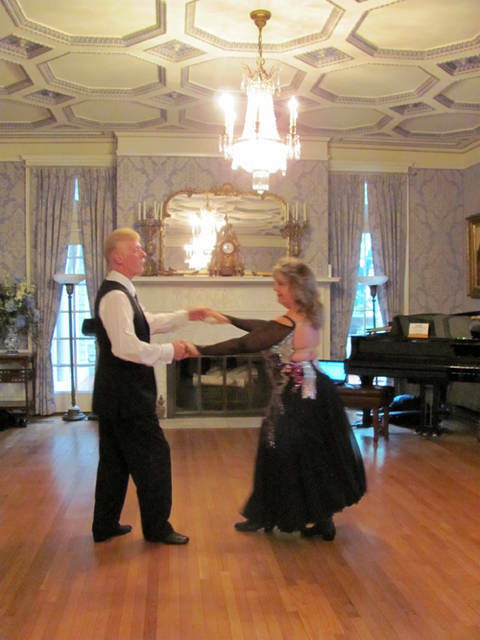 Dance instructors Ronnie and Cindy Mullins will lead the Troy-Hayner Cultural Center’s ballroom dance classes. TROY – The Troy-Hayner Cultural Center is offering ballroom dance classes for teens and adults beginning Sept. 12. A $4 donation will be made to the prom or homecoming committee for every high school student who takes this class. Individuals do not need a partner to take this class. Dance instructors Ronnie and Cindy Mullins are the owners of Studio Outback, LLC, located just outside Tipp City. They have won many titles and were named the 2015 world champions in their age division. The couple enjoys providing private instruction, teaching group workshops and choreographing for special events including wedding couple’s first dance. For more information about these instructors, visit ww.OutbackDanceStudio.com. Troy-Hayner Cultural Center is located at 301 W. Main St., Troy. Hours of operation are Monday 7-9 p.m., Tuesday-Thursday 9 a.m.-9 p.m., Friday and Saturday 9 a.m.-5 p.m., and Sunday 1-5 p.m. The Hayner Center is closed on holidays.